Drum pulper used for continuously pulping and coarse screening of waste paper under high consistency. ZG series drum Hydrapulper a new cylinder continuous pulping equipment. Before the area solutions for high-consistency pulping area, after the district for the screening area. The high concentration of pulping area, waste paper is broken in the 14-18% concentration solution. Axial partitions on the cylinder wall, repeat the waste paper with up and drop the bottom of the cylinder, resulting in a moderate shear force and friction, so that the ink particles in the waste paper, plastic materials and hot melt adhesives and other substances from loose down the fiber. No cut in the fiber separation process to reduce the impurities is broken to bring trouble on the operation. 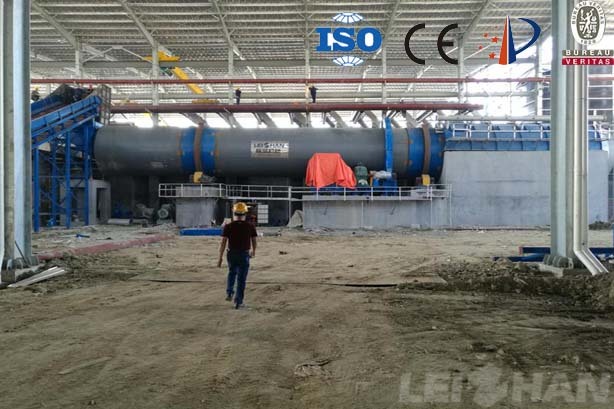 The rear area of the cylinder dilution screening area, the slurry solution was broken to 3-5% concentration filter, good slurry into the slurry tank, and residue from the cylinder end of discharge. The drum Hydrapulper power consumption than traditional Hydrapulper, save about 50%, chemicals can be reduced by 10%, steam savings of more than 60%.